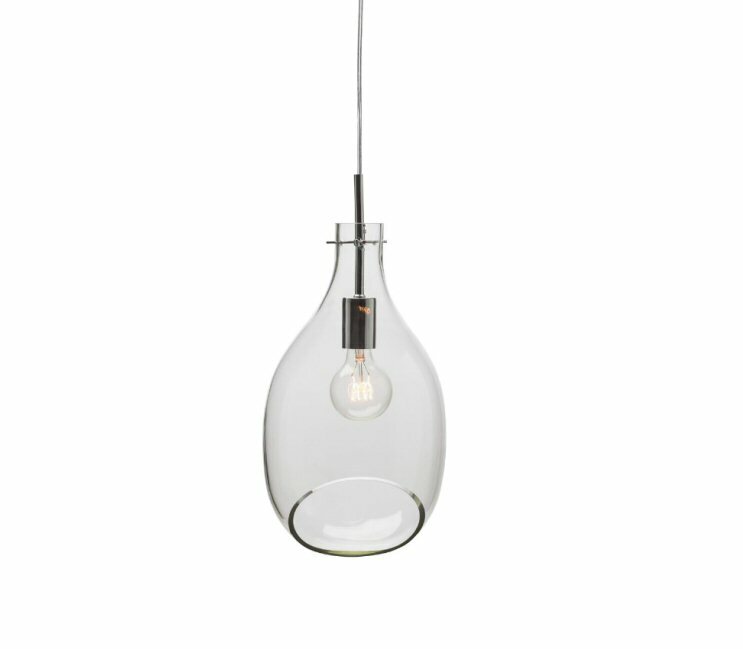 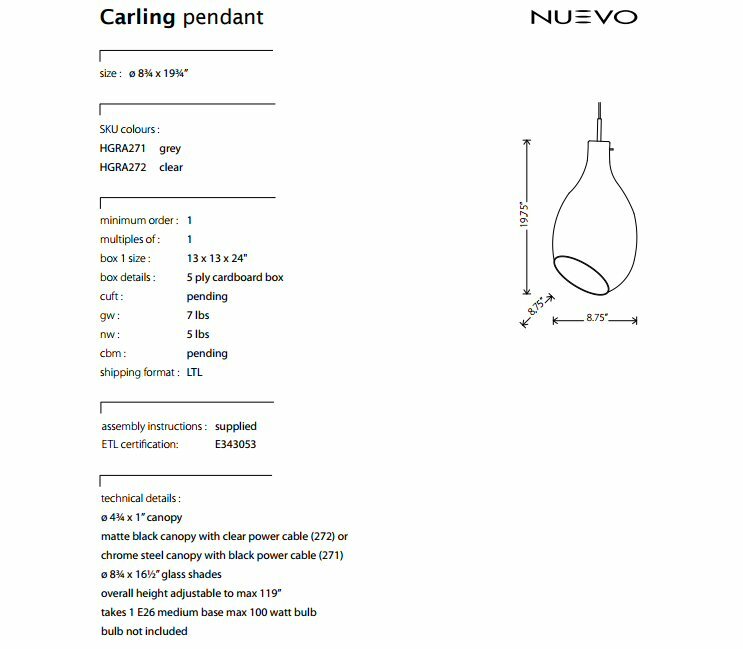 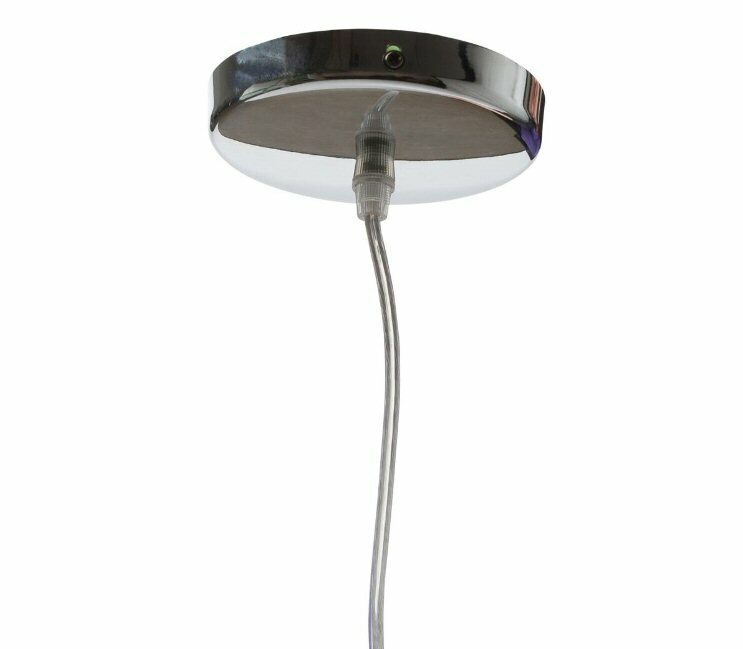 Nuevo Living Carling pendant, a unique contemporary design featuring a striking glass shade with an off center cutaway accent and simple chrome support pins. 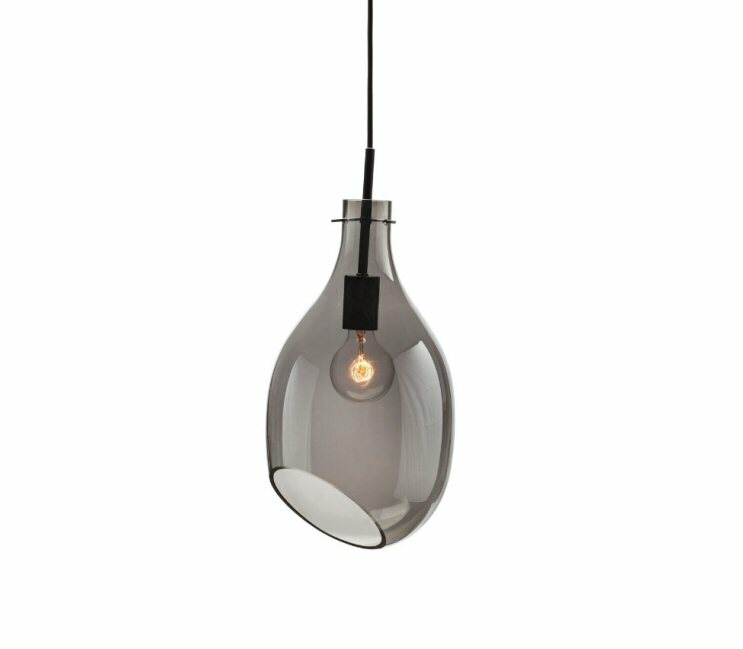 The effect is a light, elegant minimalist aesthetic suitable for a variety of settings, whether commercial spaces or private residences. 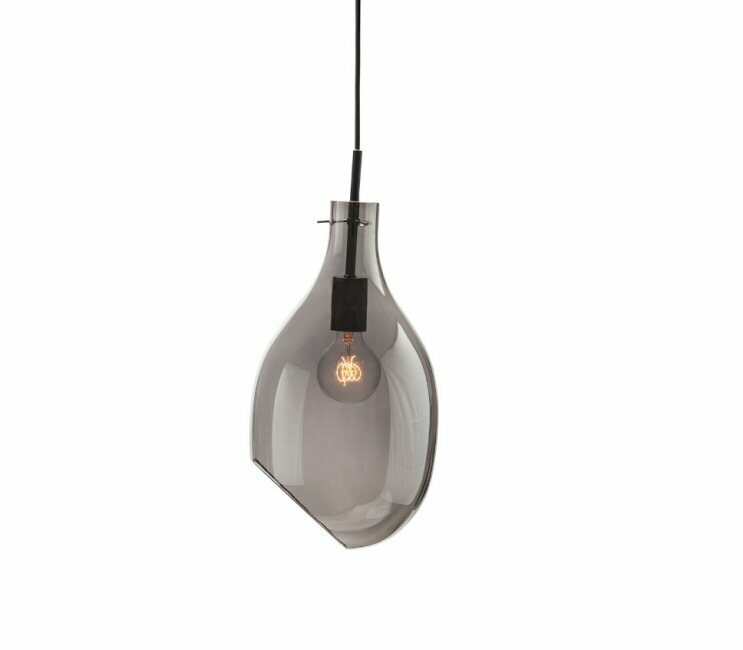  The Carling pendant is available in grey glass with a chrome steel canopy and black power cable.